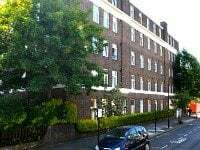 South Kensington is a relatively compact district, so you’ll never be too far away from its tube stations (Gloucester Road and South Kensington), which are both on the Circle, District and Piccadilly lines. Take the 5 minute trip to Victoria from here and you’ll be on the doorstep of the magnificent Buckingham Palace. You can also get to Westminster to see 10 Downing Street and the Houses of Parliament in around 9 minutes. Get off at Oxford Circus just 9 minutes away and you can shop in Oxford Street’s high street stores. You’ll only be 11 minutes from Covent Garden and the amazing London Eye, which is near Waterloo Tube Station. 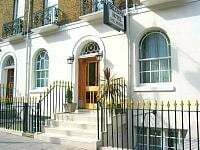 If you decide to take the plunge and drive to South Kensington you will find an NCP car park underneath the London Kensington Mariott Hotel that you can use. However this only has 25 spaces so you may have to park in the multi-storey car park in Young Street in nearby Kensington. If you don’t like the idea of travelling via tube, you can always make the most of London taxis. You’ll find plenty of black cabs to hail in and around South Kensington. Alternatively use cab companies in the area, which include Internet Minicabs in Stanhope Gardens near Gloucester Road Tube Station and Local Radio Cars on Harrington Road close to South Kensington Tube Station. You don’t even have to use public transport to make the most of your surroundings as there are plenty of attractions in surrounding districts that you can walk to! Start out at South Kensington Tube Station and you won’t have far to walk to shop till you drop. You’ll find fashionable Kings Road in Chelsea just a 10 minute walk away, and designer shopping on Sloane Street and Sloane Square is only an 18 minute stroll. Exclusive Harrods is a mere 11 minutes away and the high street stores of Kensington High Street are just 18 minutes walk. You can get to the Earls Court Exhibition Centre in around 20 minutes and Stamford Bridge, the home of famous Chelsea FC, is a 30 minute walk away.